Susanna has a happy life living with her family on a farm not far from the little Canadian town of Niagara. 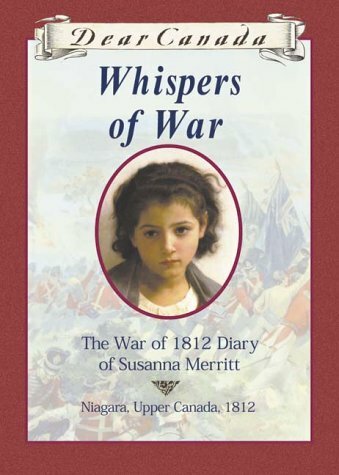 These days however Susanna has a hard time dispelling a fear which is always growing inside her; a fear that war will soon come to throw her calm and happy life into a frightening state of confusion. Unfortunately Susanna’s fears are not misplaced and soon her father and her beloved brother Hamilton have left home to fight with the British against the Americans. It is all very confusing for Susanna for her mother is American and she still has relatives living in America. Which side should Susanna support and how can she bear to watch her two homelands attack one another? With great courage and determination Susanna and the women in her family do their best to take care of the farm, bring in the crops, and try not to get too discouraged. It is hard for they get very little news of what is going on in the war and cannot be certain what is happening to their menfolk. Susanna continuously struggles with her feelings about the rightness of this conflict. Perhaps the best solution is that she should pray for all the young men and their families that are touched by this terrible war. This is a truly masterful description of what it might have been like to be living in Upper Canada during the years of the 1812 war. We watch as Susanna matures and learns that there are times when no amount of worry and thought will help, and that at such times it is best to live life to its fullest appreciating the good things and hoping for a peaceful future.